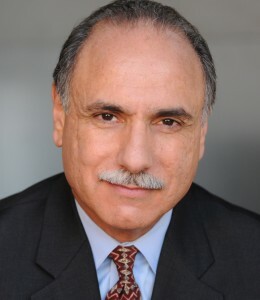 Dr. D’Andrea has used his extensive business background to provide expert testimony and/or consultation in numerous cases involving real estate valuation, damages calculations, CMBS transactions, loan sales, underwriting, market feasibility, lender/developer disputes, syndication, bankruptcy, and standards of care. Dr. D’Andrea has managed numerous assignments involving the evaluation, re-underwriting, monitoring, securitization and/or bulk sale of multi-billion dollar pools of performing and non-performing real estate loans held by commercial banks and thrifts. He’s also handled the valuation of a portfolio of commercial and residential properties, and the assessment of value increases of retail and multifamily properties. Dr. D’Andrea has conducted numerous market and financial feasibility studies for residential, commercial, and mixed-use projects. We have assisted numerous clients in selecting and implementing optimal real estate financing strategies. Our work includes assisting homeowners in assessing optimal workout strategies when faced with underwater properties, adjusting loans, defaults and other loan problems. Realty Solutions offers a variety of green building consulting services to the real estate industry, including investors, space users, lenders, developers, asset managers, real estate service providers, trade associations, government agencies and others.